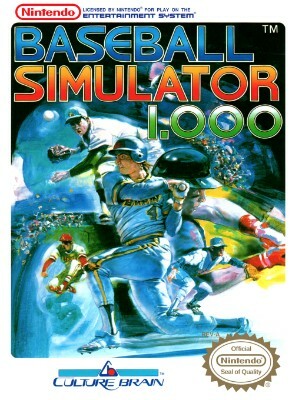 Baseball Simulator 1000 Nintendo Game NES FREE SHIPPING! TESTED! Baseball Simulator 1000 Nintendo Entertainment System NES Game Cartridge Nice! Baseball Simulator 1.000 (Nintendo NES, 1989) Authentic Cartridge Only Cleaned!